Last month, I was lucky enough to spend a few days in Disneyland & California Adventure for my Bachelorette Party with my best friends. It's been a few years since I went to Disneyland so you can imagine how excited I was when all my friends agreed to coming with me! Yes, we wore matching shirts and Minnie ears, #noshame! You can see some photos of my Bachelorette on Instagram by clicking here. One thing I love about my friends is that they love to eat, just like me! I definitely can't be friends with someone that doesn't appreciate food or want to snack all the time. We looked forward to eating Disney food just as much as the rides...or maybe more? Ha! At Disneyland, they have the BEST food! 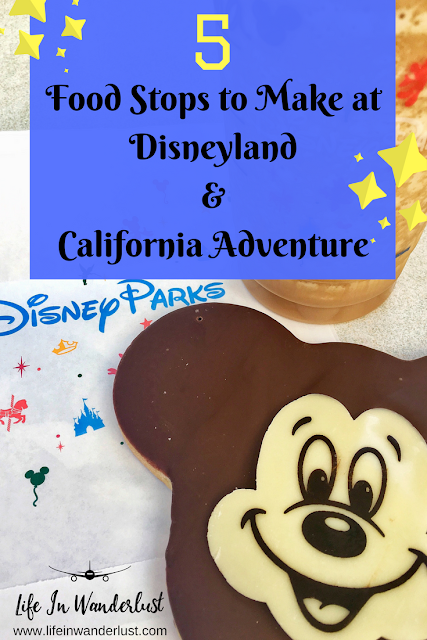 So naturally, I had to share my 5 favorite food spots in Disneyland & California Adventure. Take a look at the humungous turkey leg! It was so heavy, my arm was shaking trying to take that photo! 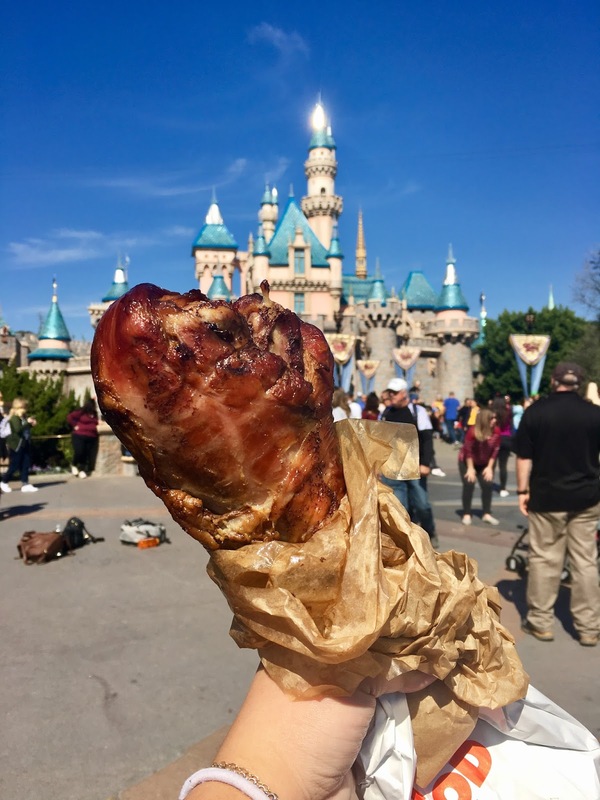 The turkey leg is a popular snack at Disneyland. So popular in fact, we had to try 3 different food carts since they were all sold out....at 11:00AM! If you want delicious, salty protein and willing to look like a savage, you won't regret it. I sure didn't! 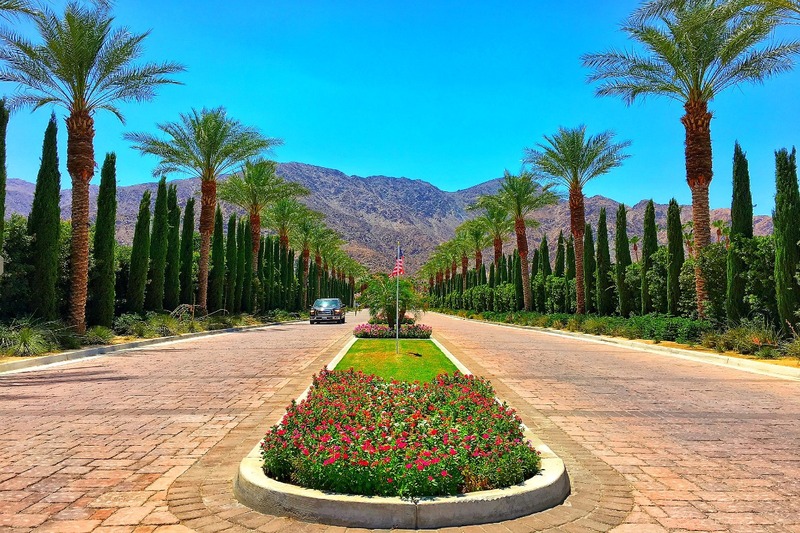 Need a little break from all the walking through Disneyland? 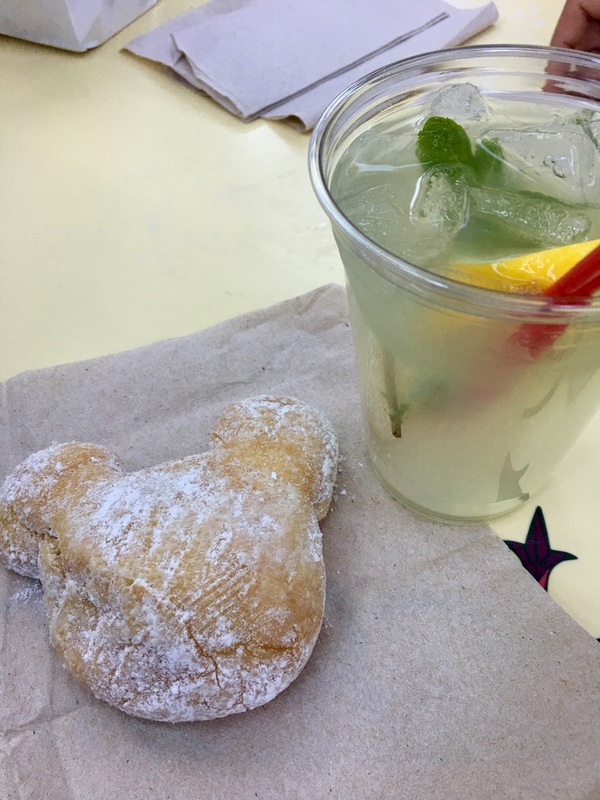 Stop by for some piping hot, Mickey shaped Beignets and a refreshing cup of Mint Julep (non-alcoholic). The beignets are perfectly sweet and light, it makes it easy to eat all 6 without realizing it! Sure, some may think this is a boring choice but hear me out. Even the Starbucks in Disneyland has been sprinkled by Disney magic! 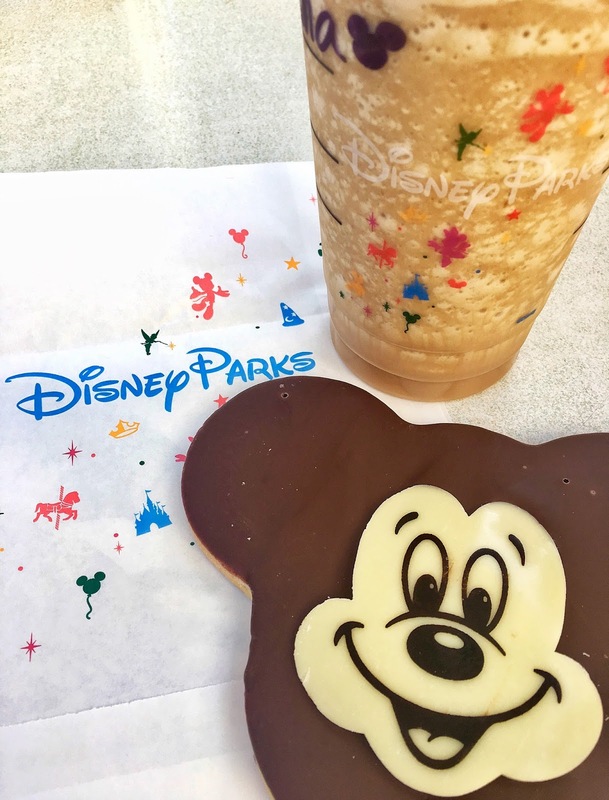 The cups have Disney characters on it, they have Mickey on their cookies, limited edition tumblers & mugs, aahh! Two of my favorite brands married in Disneyland. I couldn't get over it. Also, if you're into shortbread cookies, this cookie was top notch! Thanks to Disney Mom Bloggers, I directed all of us to the Cove Bar and waited in line for 1 hour for this. WORTH IT! 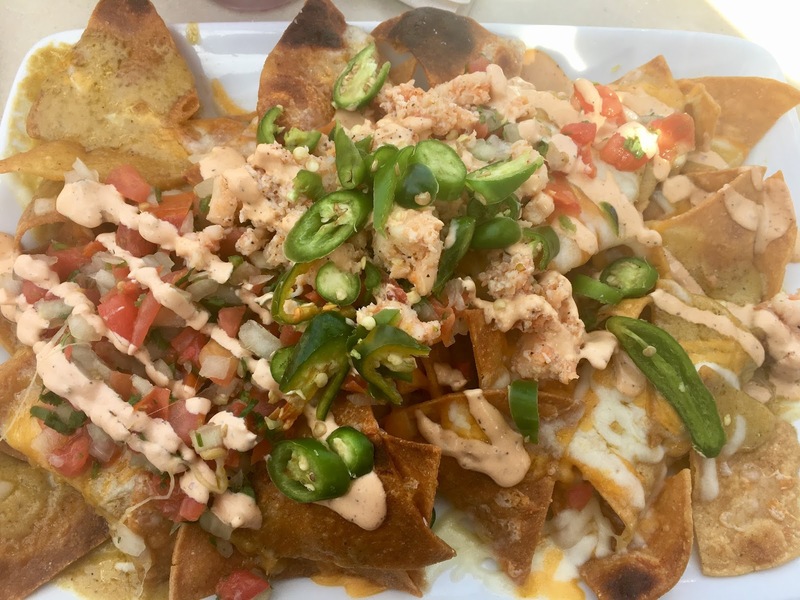 Listen, if you love nachos and lobster, add California Adventure to your bucket-list. For about $14, you get a huge plate (none of us shared, we all got our own :D) and they don't cheap out on the lobster. Lots of lobster. I'm drooling just thinking about it. You can't go to Disneyland without enjoying Churros, agreed? 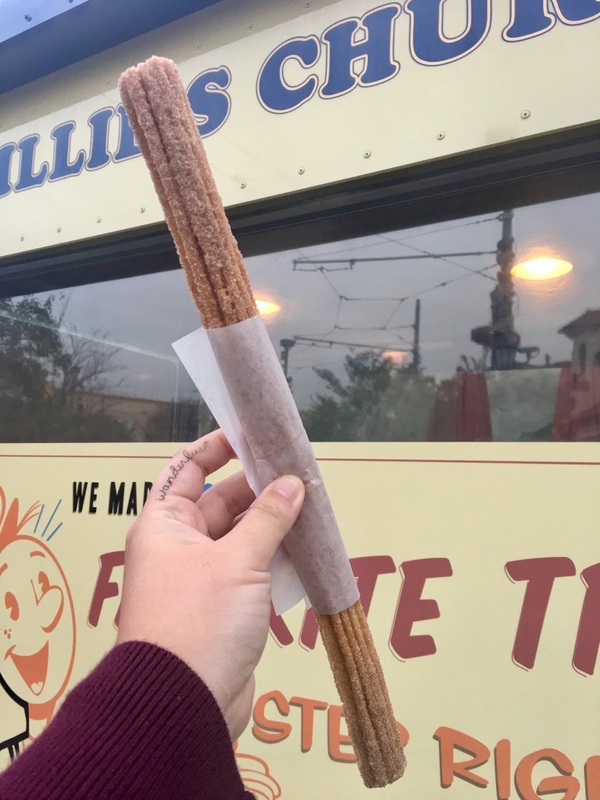 There's plenty of Churro trucks through Disneyland and California Adventure. They make waiting hours in line for a ride tolerable! Let's be honest, I could (and wanted to!) eat more than 1 throughout the day! Which snack at Disneyland or California Adventure is your favorite? 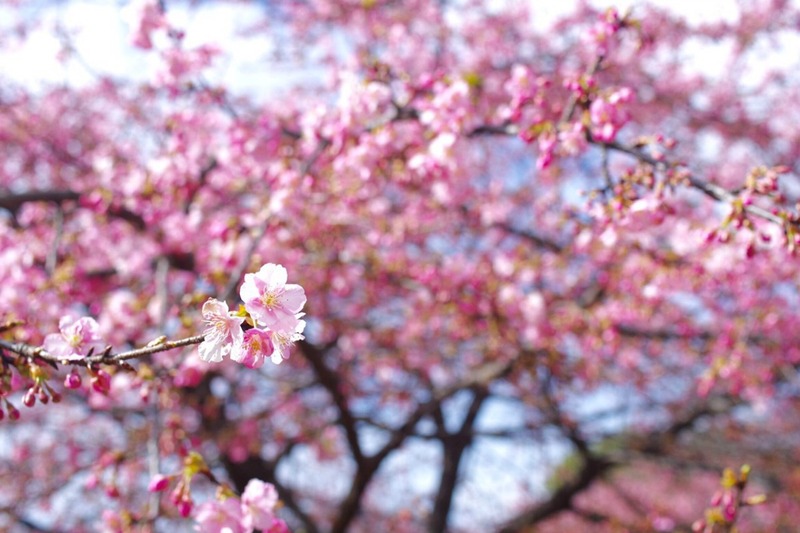 Is there anything I should try next time? Even at Disney World? Enlighten me in a comment below! Churros - every day, all day!!! I really want to head to Disney Sea this summer. What are your thoughts, is it worth the hype? I'm a WDW vet, but headed to DLR next month for the first time (first time in CA actually for an 18 day roadtrip). 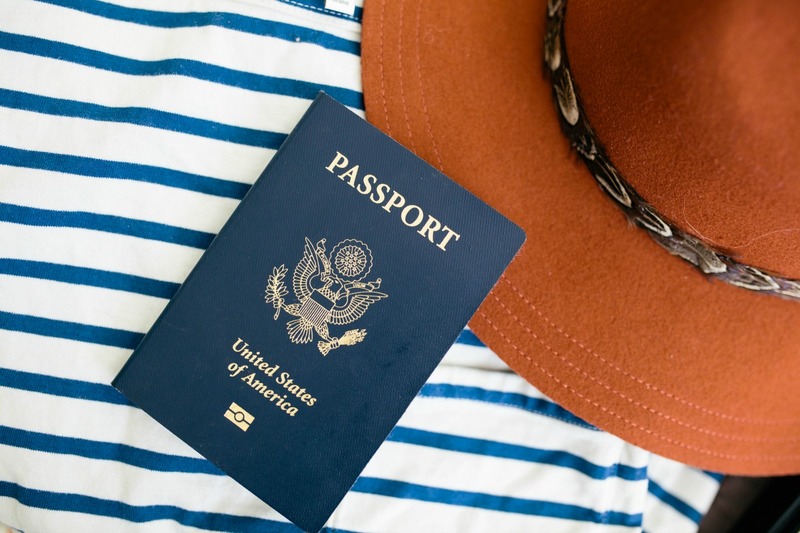 This will definitely come in handy! !